By golly, is this decadent or what? 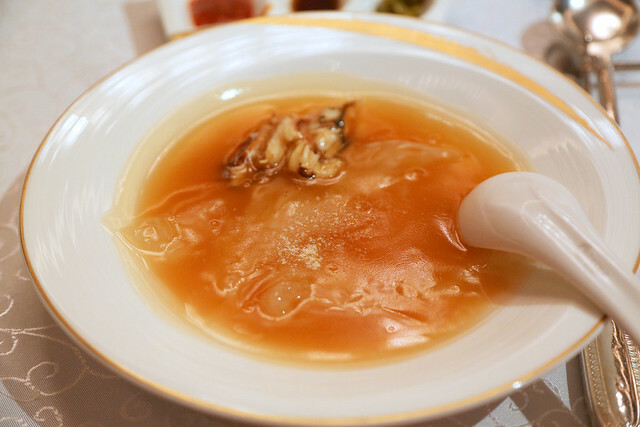 Voluminous chunks of bird's nest swimming in a savory broth topped with succulent crab meat. I'm going to have good skin for a few months! 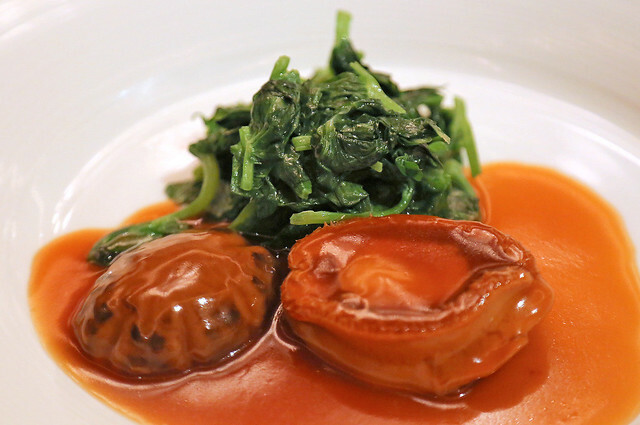 Yan Ting really knows how to do their abalones. Ordinarily, I am not a fan of these musky and chewy molluscs, but I was surprised by how much I enjoyed this. The sauce is also incredibly full-bodied, complementing not just the seafood but the vegetables too. I was so eager to dive into the piping hot flesh of the steamed fish that I totally forgot to take a photo with the big camera, and only managed a quick snap with the iPhone 4S. No regrets. 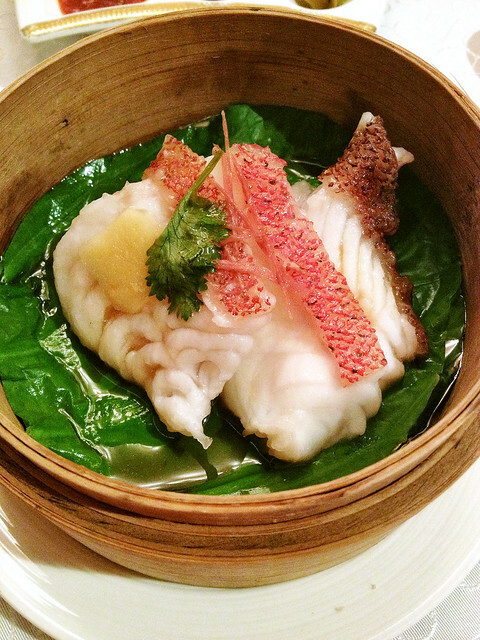 The fish is steamed just right; it's beautifully tender, almost creamy and well-seasoned. 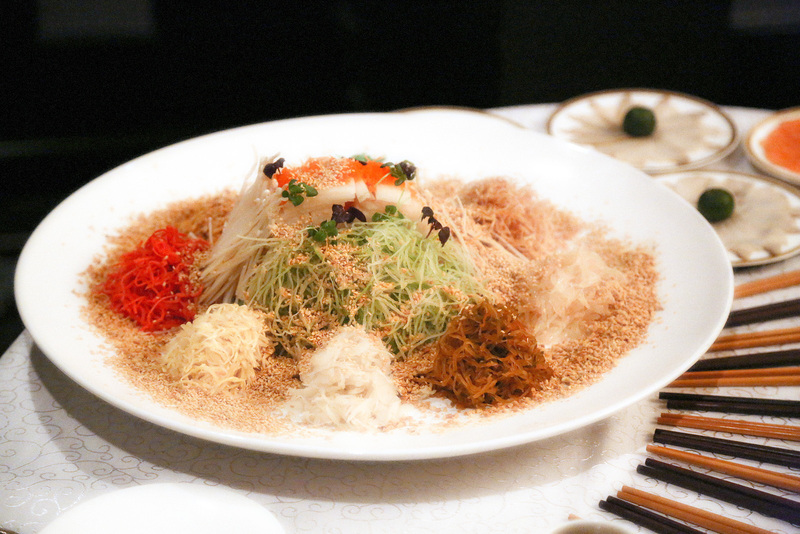 Another decadent dish with braised dried scallops, dried oysters and fatt choy (black moss). I liked the scallops best. This is one of Chef Mak's signature creations. Coffee ribs we have seen aplenty, but usually done with pork ribs. This one interestingly uses lamb, but it's done in such a way you'll barely recognise the meat. 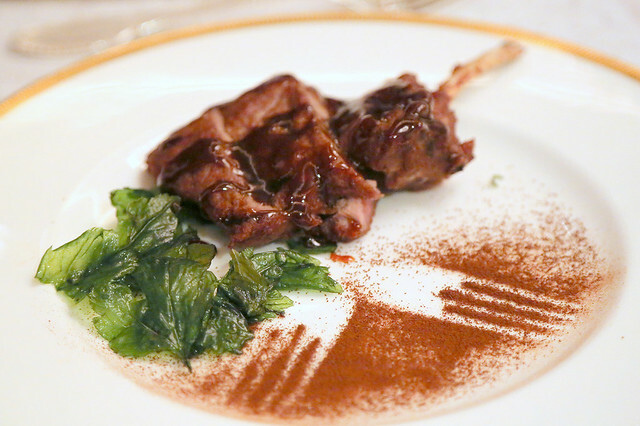 The coffee glaze is strong and rich, but I don't know how the chef has managed to remove all traces of gamey lamb - probably good for those who aren't fans of mutton, but not so for those who like the taste. Oh call me a plebian, but there's nothing like ee-fu noodles to make me happy! And this one is stellar! 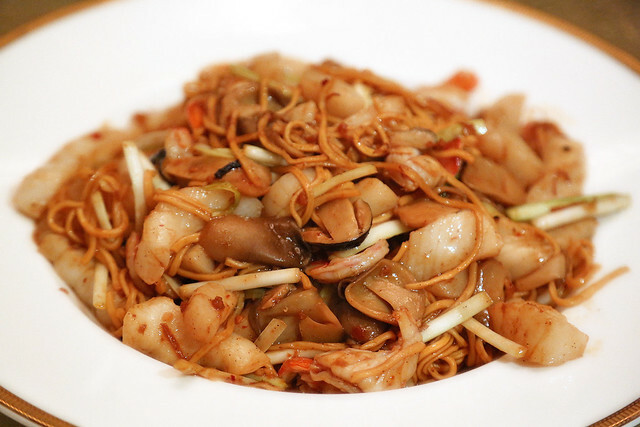 Studded with scallops, shrimp and straw mushrooms. The magic of XO sauce imbues this dish with a spicy umami kick that's not often found in ee-fu noodles. The dessert is pleasant, not too sweet. 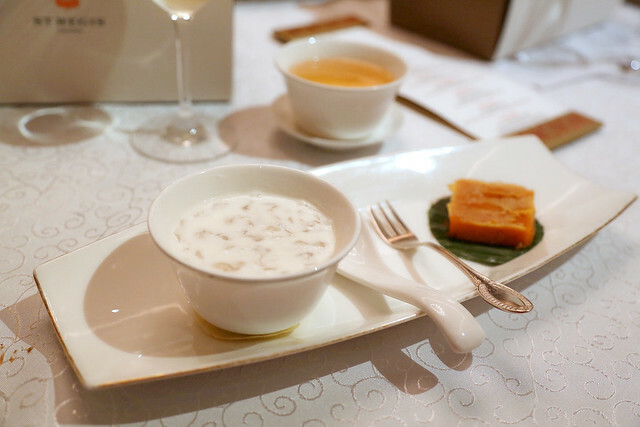 The almond tea is warm and dense, with a fortifying feel. Food at Yan Ting rarely disappoints. 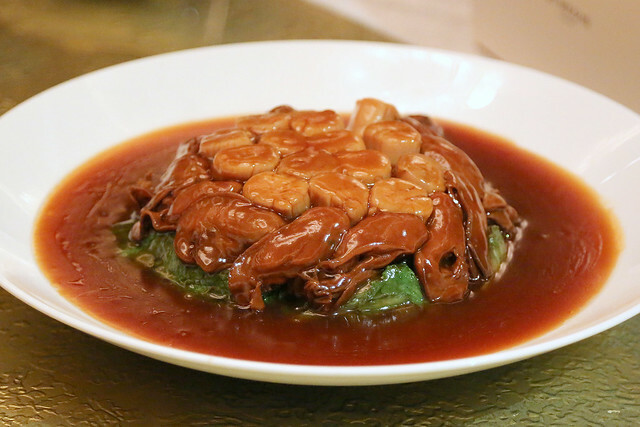 For Cantonese fine-dining, it's one of the more reliable places to go. And the dim sum is marvelous - more on that in an upcoming post, where I'll highlight some items from their wildly popular weekend brunch! Stay tuned. Photos (except where indicated) taken with the Canon 5DMarkIII kindly loaned to me by Canon Singapore.